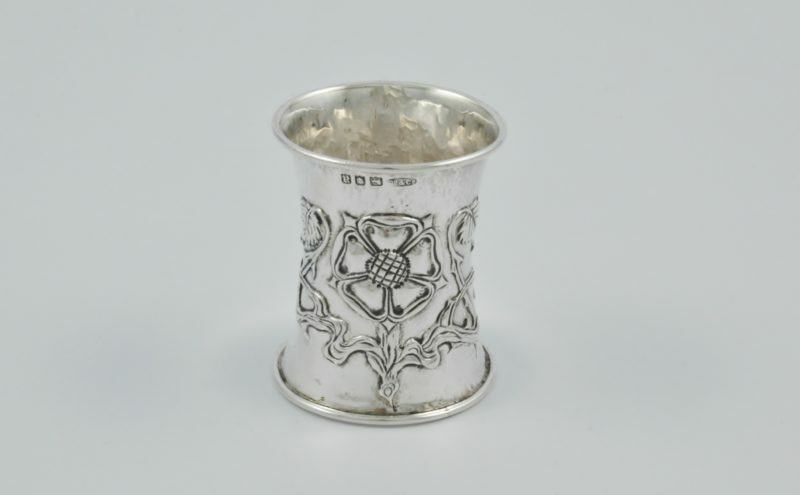 Arts & Crafts silver serviette ring marked for London 1916 by Omar Ramsden & Alwyn Carr. 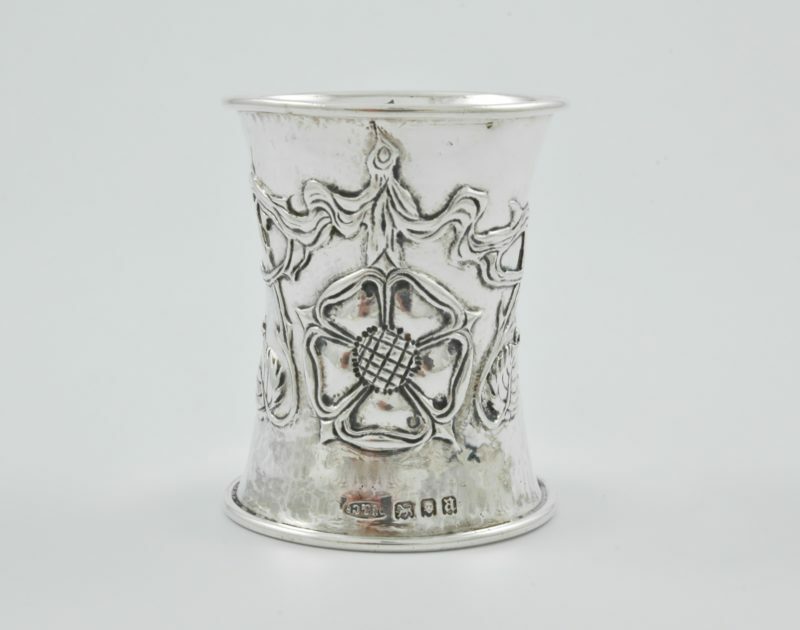 Dimensions: 5.6 cm tall by 4.7 cm diameter. 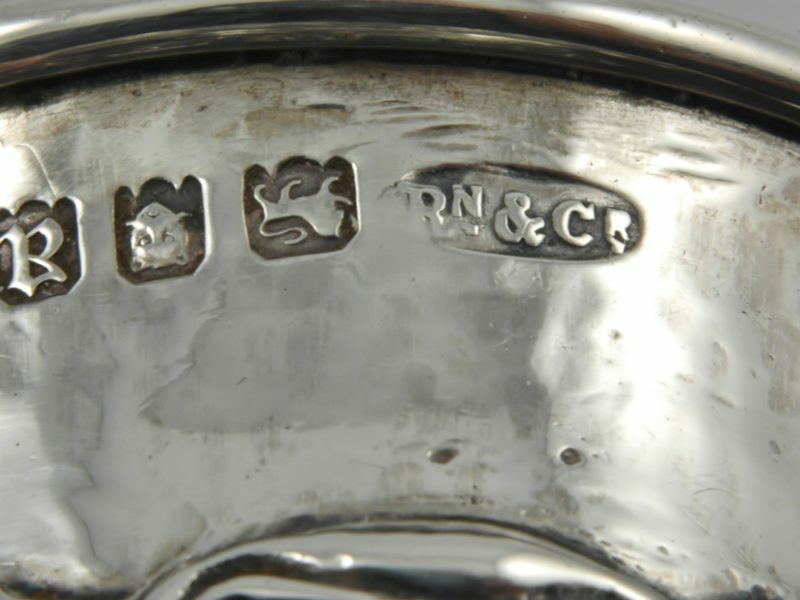 Omar Ramsden (1873-1939) and Alwyn Carr (1872-1940) worked in partnership from 1898 until 1919. Together they produced some of the most inspiring English Arts & Crafts silverware. 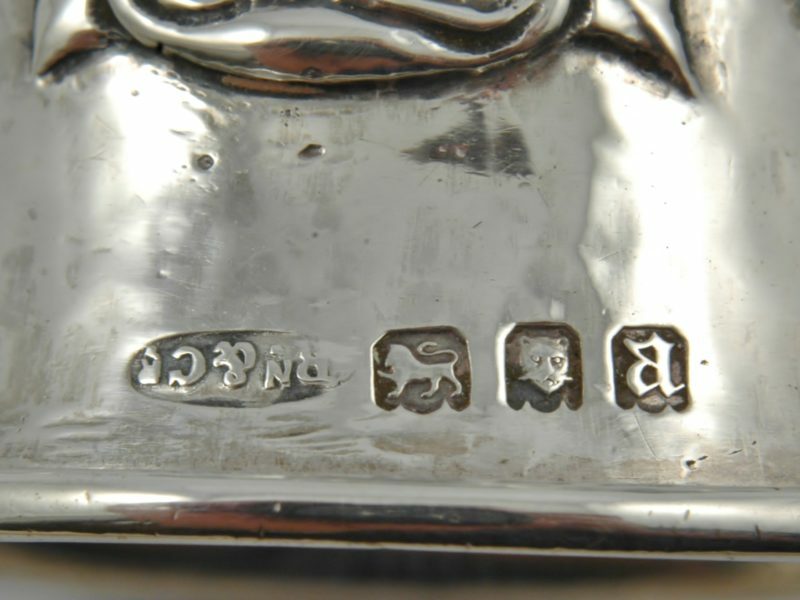 Their pieces often carry the trademark signature in Latin “OMAR RAMSDEN ET ALWYN CARR ME FERCUNT” and after 1919 when Ramsden ran his own workshop until his death in 1939 -“OMAR RAMSDEN ME FECIT” (Omar Ramsden made me). 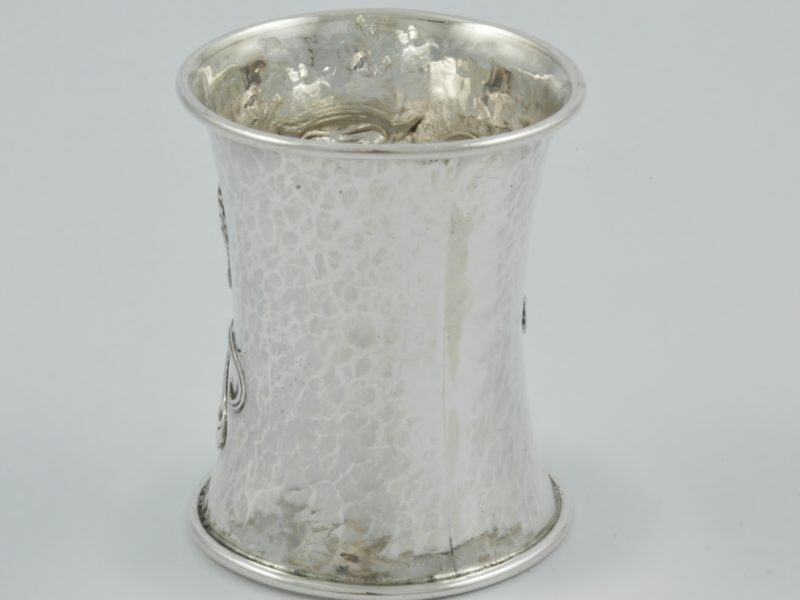 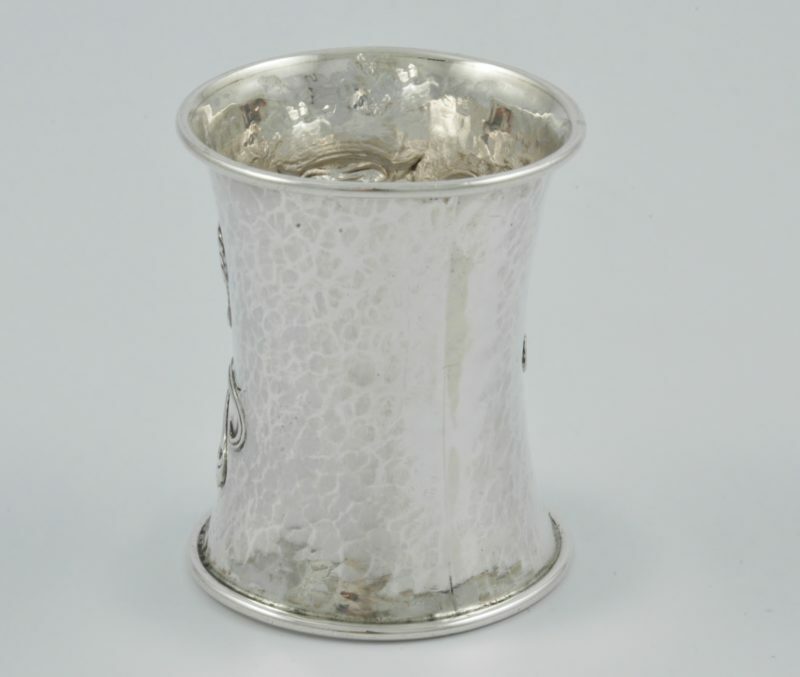 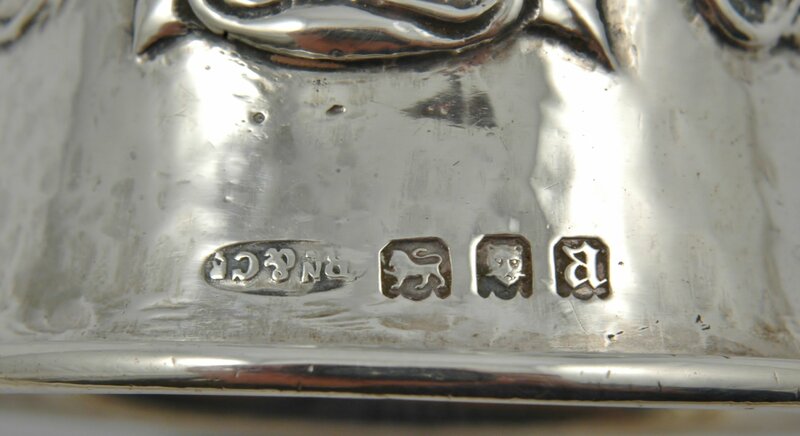 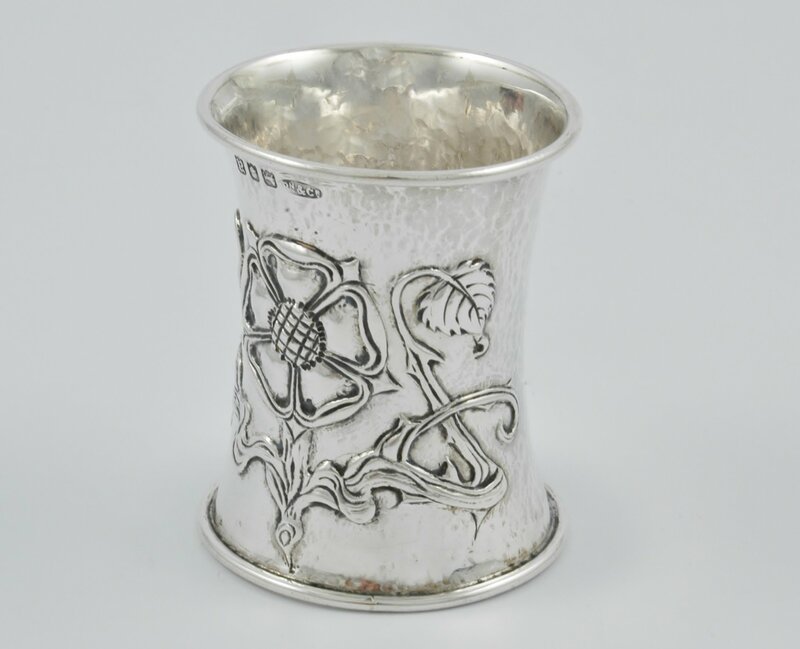 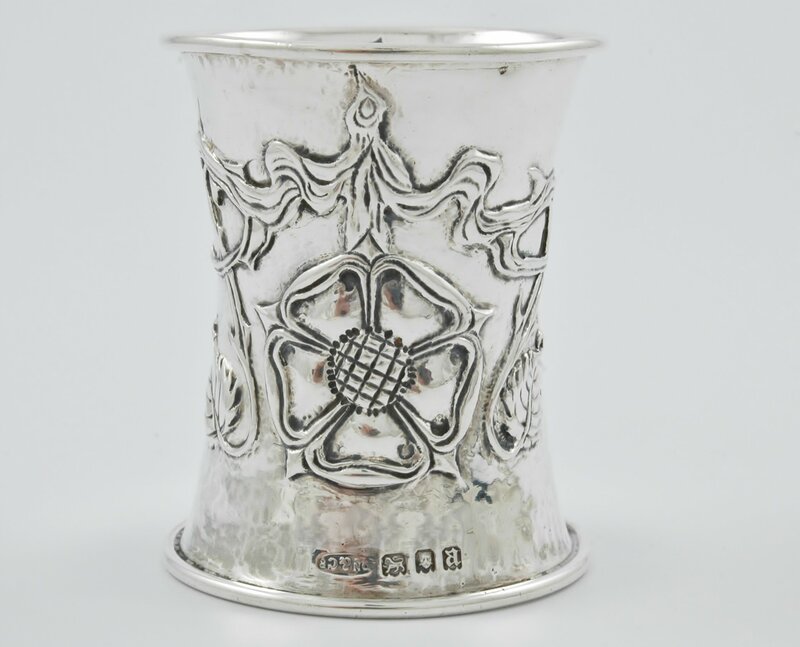 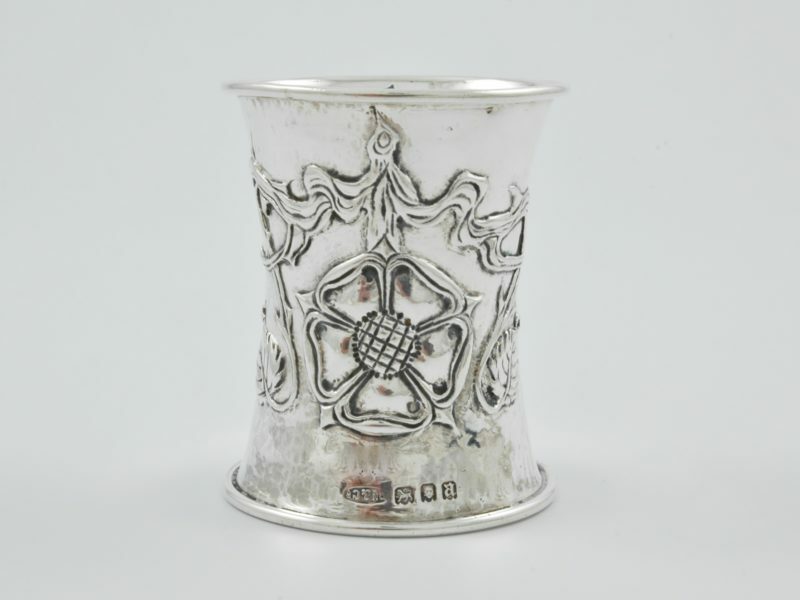 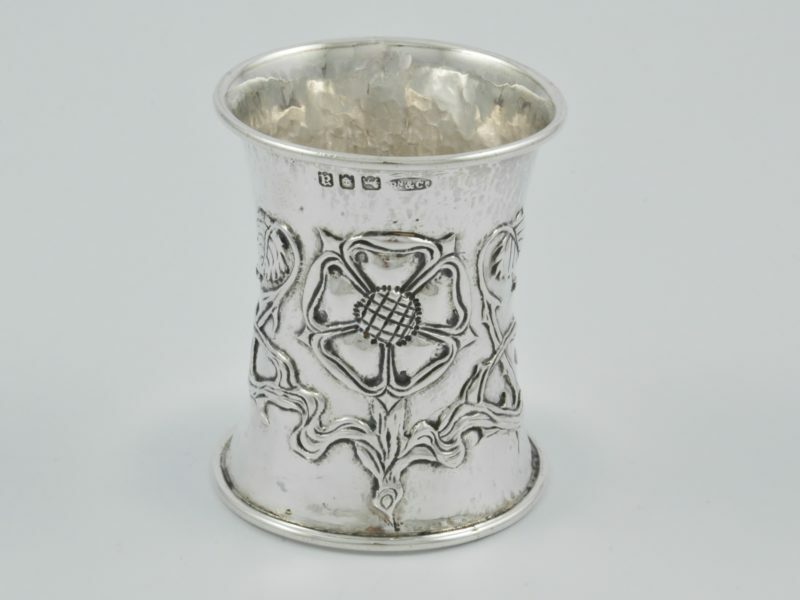 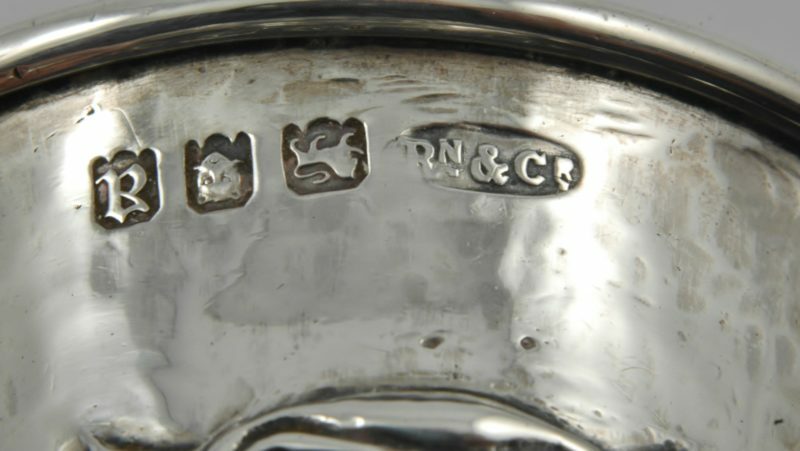 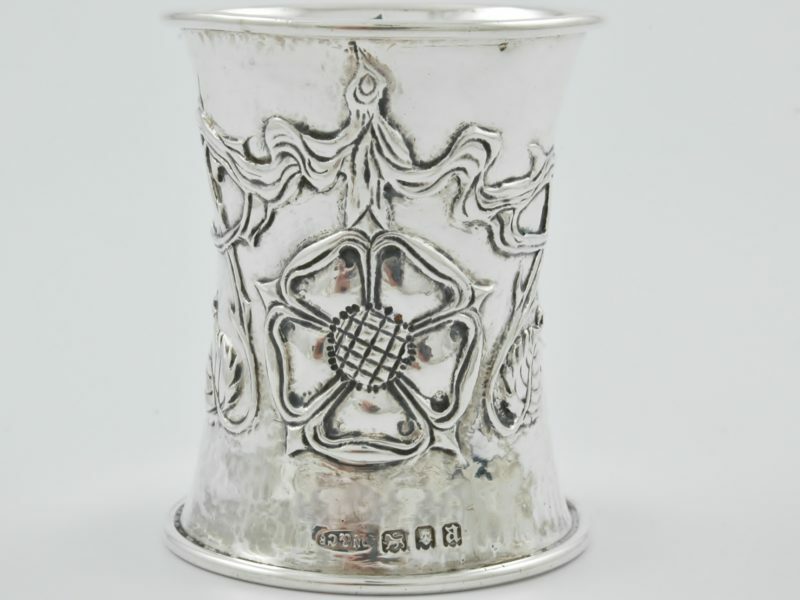 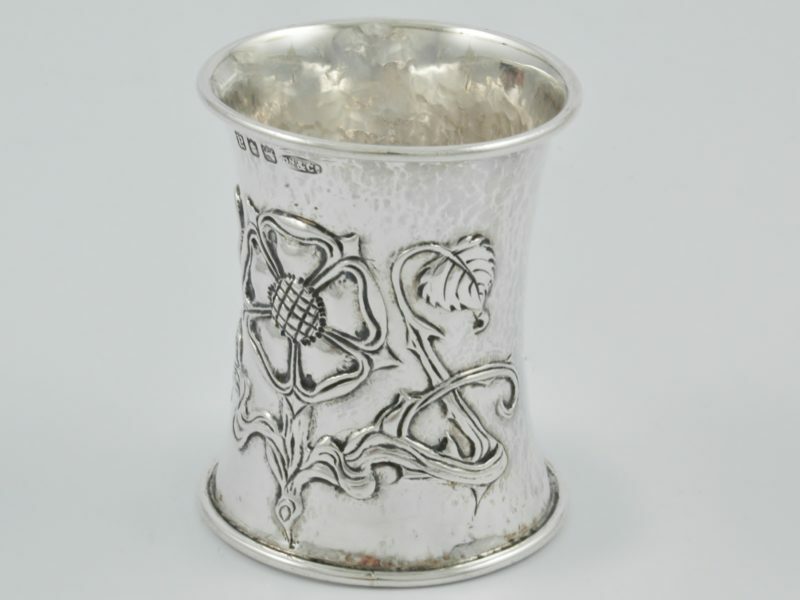 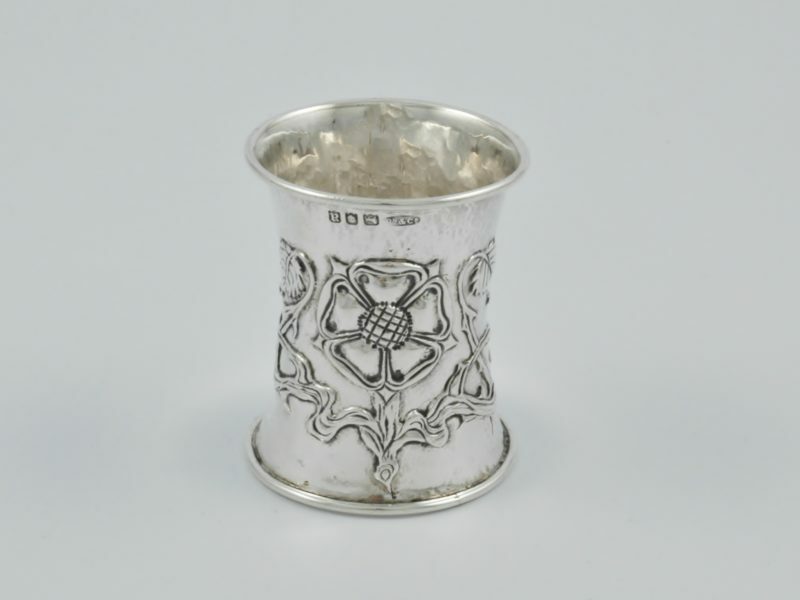 The concept of commissioning a piece of silver from a master craftsman was used as a major marketing tool at the beginning of the era of mass production of silverware. 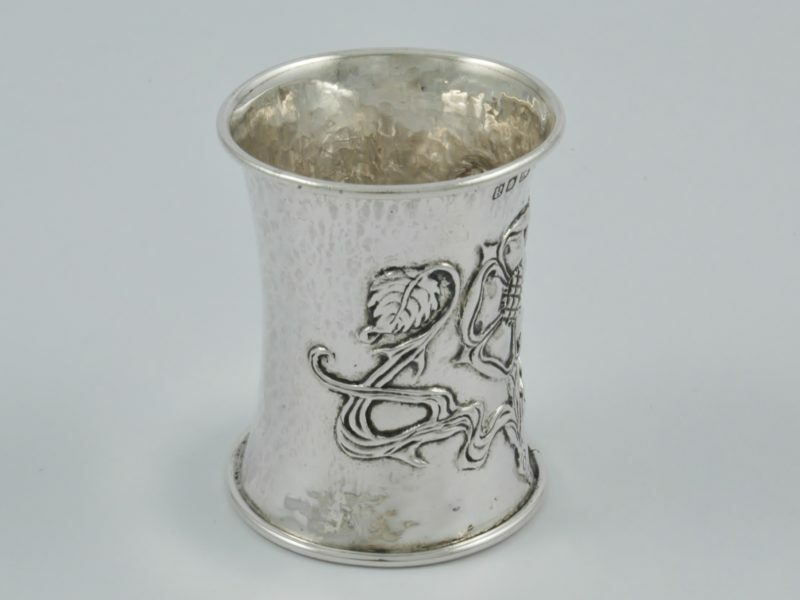 When most consumers were only able to purchase standard items of silverware, Ramsden & Carr encouraged the client to be a part of the design and many items were tailor made to suit the presentation occasion. 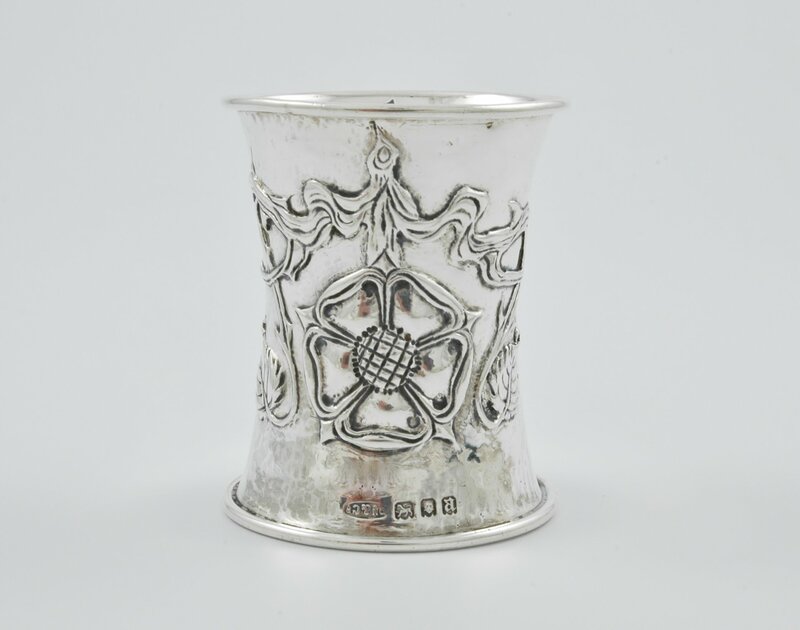 In 1973 a landmark exhibition was held in Birmingham at the City Museum and Art Gallery to commemorate the centenary of the birth of Omar Ramsden. 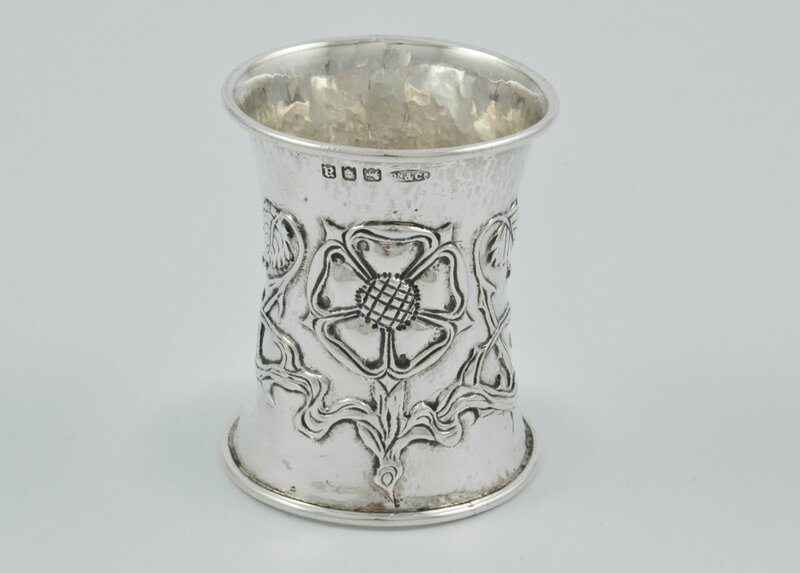 This enabled many enthusiasts to see for the first time the brilliance of their designs together and helped develop a strong market for their pieces today.